Summer is nearly here, and the potluck picnic invitations will be coming in. I always like to have a “signature” dish I bring to certain events, and this scrumptious salad is my go-to salad for summertime parties of all sorts. It simply screams summertime with its delicious sweet and refreshing flavors that adults and kids alike will absolutely love. 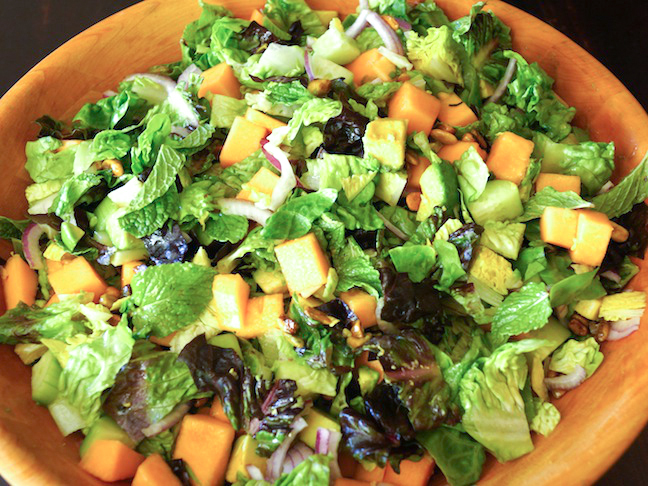 This chopped salad recipe is a huge crowd-pleaser! 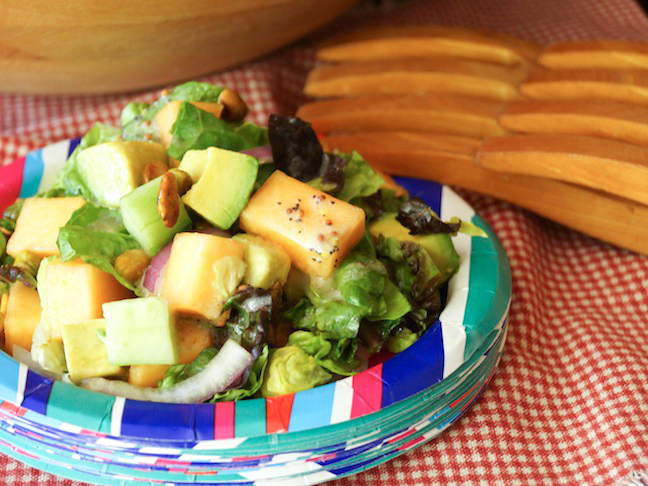 Whip this sweet and savory salad up for your next potluck, barbecue, or pool party. 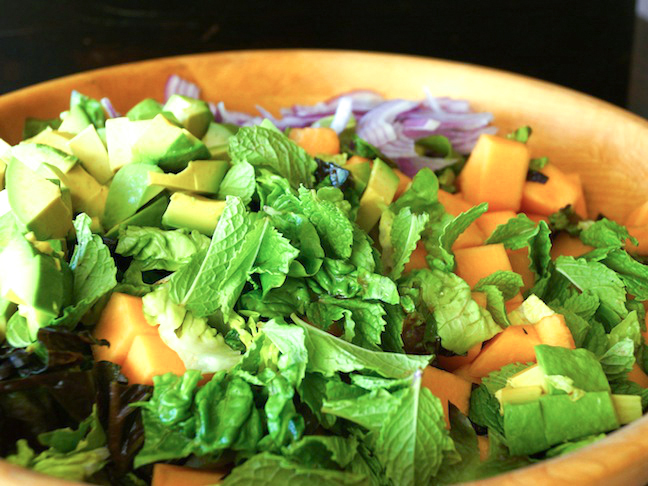 Step 1: Add the lettuce, mint, melon, cucumber, avocado, and onion to a large serving bowl. 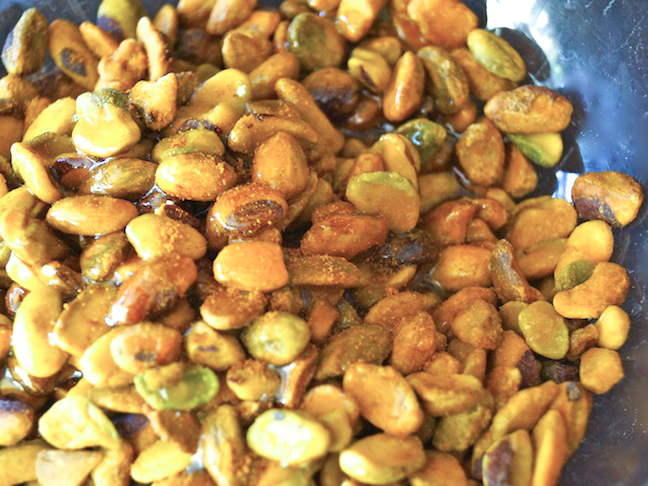 Step 2: Add the pistachios, 1 tablespoon of honey, and the pinch of cayenne to a small bowl, and mix to combine. Step 3: Add the coated pistachios to the bowl with the other ingredients and set aside. Step 4: To make the dressing, combine the lemon juice, cream, mustard, and poppy seeds in a small bowl. Whisk to blend. Gradually whisk in the oil and then season to taste with salt and pepper. Step 5: Drizzle the salad with the dressing, gently toss, and serve.